Having a baby? You're in good hands. At One Community Health, we offer expert, personalized OB care for expectant mothers and their babies. Also available, our prenatal and perinatal program is the only one of its kind in the Columbia River Gorge. It's here for you and designed to further empower your journey through education, guidance and compassion. Prenatal services are offered at our locations in Hood River and The Dalles. Our patients deliver babies at Providence Hood River Memorial Hospital, under the care of an experienced One Community Health physician. We're very proud that all our family doctors provide prenatal services, taking care of you and your baby before and after the delivery. They also regularly train with teaching hospitals, such as Oregon Health & Sciences University. Educated on the latest and greatest of state-of-the-art practices, our providers bring this knowledge and power to you. As an expectant mother, you're invited to participate in our prenatal and perinatal program, which gives you comprehensive support and education throughout your pregnancy. The journey of care includes meeting regularly with your preferred family physician. But you’ll also get the unique opportunity to develop a close relationship with a prenatal/perinatal community health worker, meeting with her every time you visit us. Dedicated to your pregnancy health, she is solely there to help you create a plan for prenatal education visits, lab work, ultrasounds and doctor's visits. She will also coordinate other health care appointments if needed. This valuable resource and relationship continues after each baby is born through extensive post-delivery follow up and support. Many mothers who go through this program come away feeling a special, unforgettable bond with their perinatal community health worker. This highly personalized experience puts you and your baby at the center of our team-based care, helping improve health outcomes for you both. We're happy to review the options so you can make a choice that best supports your plans for the future. Dr. Acosta holds a B.S. in Biology from George Mason University in Fairfax, VA, graduated from medical school at the Medical College of Virginia, in Richmond, VA and completed a residency at Natividad Medical Center in Salinas, CA. A longtime physician with OCH, he enjoys the many long-term relationships he has developed with patients. Professional interests include family practice in general, high-risk and surgical obsetrics, diabetes, pediatrics and minor office surgery. The youngest child of Cuban immigrants, he speaks Spanish and has lived in the USA all his life. He has lived in the Gorge since 1995, where all three of his daughters were born. He enjoys mountain biking, playing music and spending time with his family. Dr. Fauth received a bachelor’s degree from Linfield College, a medical degree from the University of New Mexico and completed a residency at Cascades East Family Practice in Klamath Falls, OR. 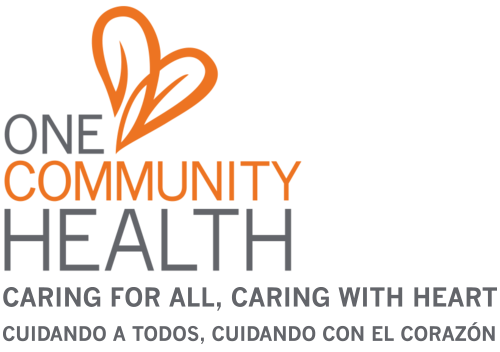 Professional interests include farmworker health, obstetrics/gynecology, pediatrics, diabetes and preventative medicine. She particularly enjoys helping entire families with their health care. She has served on the Oregon Academy of Family Practice board for several years, where she has received increased insight into patient advocacy and current and future issues regarding the physician workforce. She moved to Hood River in 2005 specifically to work at La Clinica, has two sons in grade school and enjoys biking, hiking and reading. She speaks Spanish. Dr. Robert Gobbo graduated from the University of California Los Angeles School of Medicine in 1984 and completed his family practice residency at Santa Monica Medical Center. After doing an obstetrics fellowship in 1988, he joined our team as the medical director of La Clínica del Cariño (now One Community Health). He returned to California in 1993 as the associate director of the Merced Family Practice Residency at University of California Davis. Eleven years later, he came back to Oregon and joined the faculty of the Providence Milwaukie Family Medicine Residency. In 2013, he returned to the Columbia River Gorge to launch the Providence Hood River Family Medicine Rural Training Program (current residents featured left), and he rejoined the staff at One Community Health. In addition to being the director of the residency program, Dr. Gobbo cares for One Community Health patients and works as a hospitalist at Hood River Memorial Hospital. He also provides obstetrics and pediatrics call coverage for One Community Health’s primary care practice, and supervises residents at OCH and in the hospital. Outside of work, Dr. Gobbo enjoys spending time with his two adult daughters, cycling, running, cooking, and gardening." Dr. McKenna comes to us after completing her family medicine residency at Oregon Health & Sciences University in Portland, OR. As someone with a passion for public health, she is thrilled to be part of a community health care team that’s focused on individual health and the health of our whole population, both local and global. Dr. McKenna is equally excited to serve in a small community, where she’s able to easily deliver personable care, seeing patients in both the hospital and our health center. Professional interests include: obstretrics/gynecology, pediatrics, whole family care, preventive medicine, and office procedures. Prior to her residency, she attended medical school at Tufts University in Boston. Here, she earned her degree in public health, writing her thesis work on diabetes prevention in Guatemala. Between graduate school and college, she served in the Peace Corps both in the Pacific Islands and in Guatemala, specializing in community development and infrastructure for family health. Dr. McKenna’s undergraduate degrees include a bachelor’s in Latin American History. She’s fluent in Spanish and is enthusiastic to keep that skill sharpened while serving patients under our care. In her spare time, Dr. McKenna capitalizes on all the local outdoor recreation and also pursues her music interests. You might be surprised to learn she’s a talented fiddler who also has a knack for playing the Irish whistle. Originally from Canby, OR, Dr. Parker received a Bachelor of Science from the University of Portland, spent a year in the Jesuit Volunteer Corps, working at a women’s shelter in Washington DC, and attended medical school at the University of Iowa Carver College of Medicine. He completed a family medicine residency at Swedish First Hill in Seattle, WA with a clinical focus on underserved and marginalized populations. Professional interests include health care reform, pediatric and adolescent health, preventive medicine, obstetrics and women’s health, and minor office procedures. Dr. Parker enjoys travel, backpacking, rock climbing, biking, and cooking and growing food. He moved to Hood River in 2010 to join OCH and develop community in the Gorge. He speaks some Spanish. Dr. Serra holds a medical degree from Ohio State University School of Medicine and completed the Family Medicine Residency Program (Rural Training Track) at Oregon Health Sciences University (OHSU) in Klamath Falls, OR as well as an obstetric fellowship at OHSU. She practices the full scope of family medicine, with a special interest in obstetrics, women’s health, prevention of disease, pediatrics and migrant health and believes that the best cure for disease is prevention. She speaks good medical Spanish. Dr. Serra is devoted to the care of the underserved and underinsured because of her belief that no one should be denied basic health care. Don't have insurance? A patient resource specialist can help you apply for general medical insurance or health care coverage for prenatal needs.